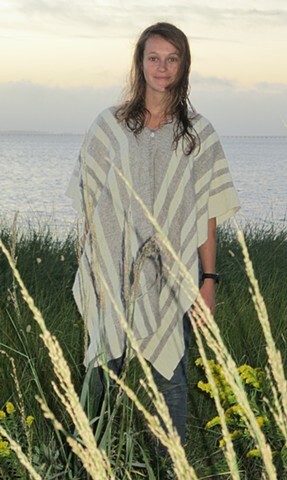 Cashmere & Wool Poncho, so yummy. Couldn't be prettier on anyone than my Laddie. Handwoven with gray wool from my beloved Corriedale sheep, Izzie, white wool from my Romney sheep, Ruthie & Bea, and a super-fine cashmere for lovely softness and drape.